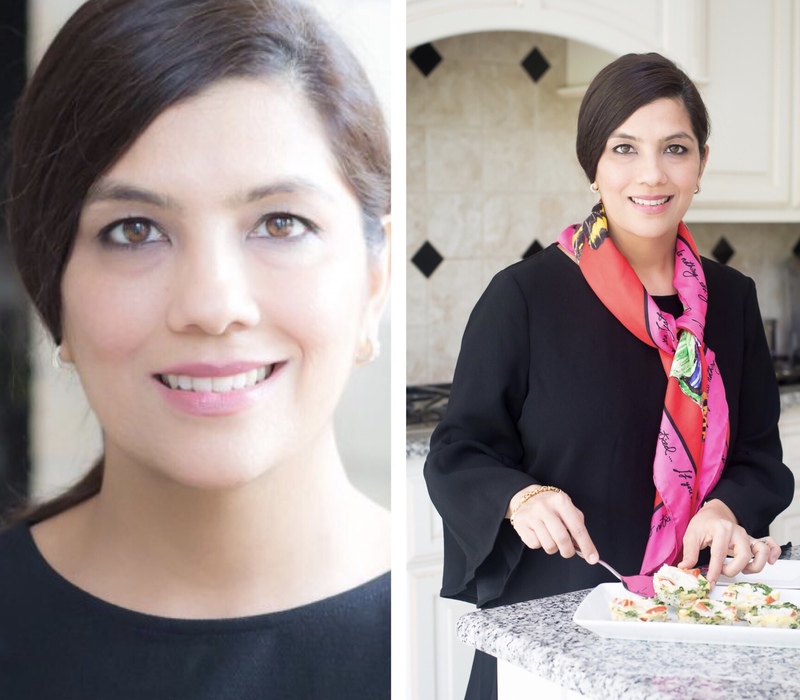 I’m super excited to have Zeeshan Shah, an Integrative Nutrition Health Coach, over on my blog today to share six habits for a healthier South Asian lifestyle! So let us hear from Zeeshan! My name is Zeeshan Shah and I am an Integrative Nutrition Health Coach. I am also a wife and a mom to two boys. My passion is to educate and help in all things related to health and wellness! After being diagnosed with Hashimoto’s Thyroiditis, an autoimmune disease also sometimes referred to as a “modern” day disease because it is a bi-product of our highly processed diet and sedentary way of life, I took stock of my own diet and lifestyle and quickly realized that this was how many of us of South Asian origin lived. Although our generation is fast becoming more health conscious, there are a few things we need to be more mindful of. South Asian cuisine has become more processed and refined over time. We now use vegetable and other highly processed oils instead of ghee, which is immune boosting and rich in omega 3. These processed oils undergo chemical processing and are made with GMO corn and soybean that is high in Omega 6 fats. A high amount of Omega 6 in the body leads to inflammation that is a cause chronic disease. Go back to using ghee and butter. I also like to use avocado oil because of its high smoke point since a lot of our cooking involves high heat stir frying. Use organic spices to reap their natural benefits. Spices such as turmeric, ginger and cinnamon are anti-inflammatory and medicinal in nature. Listen to your body. Chew your food rather than wolfing it down. When I was younger, I remember my nana (maternal grandfather) telling me to chew each mouthful at least 35 times before I swallowed it. It seemed pretty impossible to do at that time but now that I am older I see the wisdom in his words. It takes the brain 20 minutes to register satiation so this in turn prevents over eating. Now I won’t advocate going vegetarian or vegan because there is no evidence to show that meat eaters are any less healthy than vegans or vegetarians. The problem arises when we eat only meat and that too at every meal every day of the week! In most South Asian/Pakistani homes vegetables barely make an appearance and meat is center stage. Most dishes that have vegetables, have meat in them too. The struggle was real in my home and so I decided to do Meatless Mondays. I didn’t give much of a choice to my family and slowly and steadily they stopped complaining. They do love their meat, but we can now go many meals without it and it’s not a problem. Be mindful of where you get your meat from too. Try to eat grass fed, pasture raised organic meats. This may raise your grocery bill but you will then tend to eat less of it and focus more on vegetables. Make a big salad at each meal and eat more fruits and vegetables in general. Remember, to use meat as a condiment. I’ve had many clients tell me its tough for them to workout because they don’t have the time. However, due to the well-established benefits of exercise one can not discount its importance. Unfortunately South Asian women tend to be more sedentary than their western counterparts. Far too many women in my close circle have fallen victim to chronic illnesses lately for me to ignore this very important tool. There are many lessons to be learnt from our parents’ generation where not enough stress was put on regular physical activity. Start by taking baby steps in the right direction and gradually increasing it over time. Find something you love. Make it fun and grab a friend to do it with. We are not all runners or yogis. Chose what makes you happy and do it consistently. Did you know that children need any where from nine to ten hours of sleep and adults at least seven? The benefits of getting regular sleeping are more than we can imagine. When we sleep our bodies emit hormones that repair our cells. We in the South Asian community don’t place enough importance on sleep. Adequate and timely sleep is extremely important. Intermittent fasting is not a new concept by any means. Fasting is practiced in some form by all major world religions such as Buddhism, Christianity, Islam, Taoism, Judaism, Jainism, and Hinduism and so is a part of our ancient South Asian culture. There are many health benefits of fasting for our body. Fasting is commonly done as a religious duty but also try and make it a form of your routine. This can be done by fasting from dusk to dawn twice a week or intermittent fasting where you choose the window in which to eat. So there you have it, some habits for a healthier South Asian lifestyle. Do you have any tips to share that I may have missed? Share them below! Want to transition to healthier habits in a community of like-minded women? Register for the 30-Day Jumpstart challenge! Learn more and sign up http://bit.ly/2H2VttK The next challenge starts April 1, 2019! Great reminders! Most of us know all this stuff already but we need a reminder like this to kick things off again, so thank you to both the lovely ladies for this!